Happy Monday everyone! 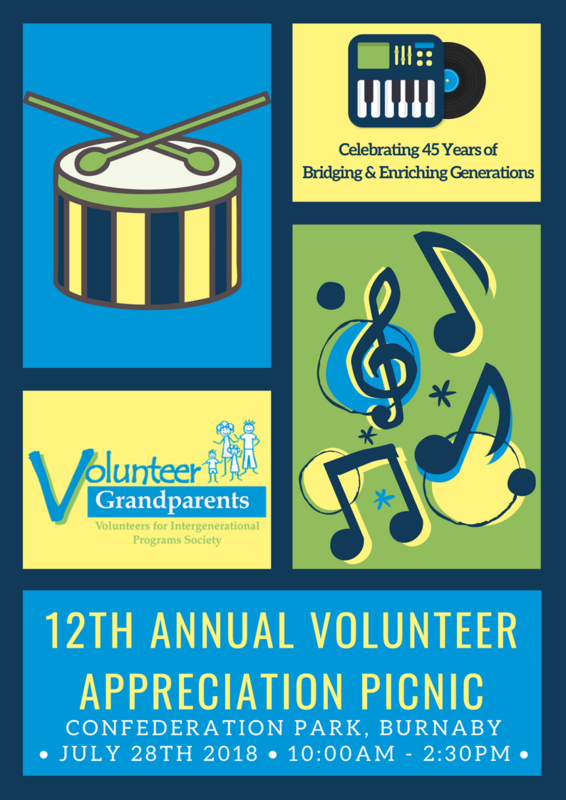 Our 12th Annual Volunteer Appreciation Picnic is happening on July 28th, 2018 and is fast approaching. We hope to see all your beautiful faces there for a day of fun activities, music and more as we celebrate our 45th Anniversary. Please send us an email at info@volunteergrandparents.com to RSVP if you’re interested in attending. Check out our Picnic Invitation Package for more details!